Succulent shrub to about 60 cm tall. 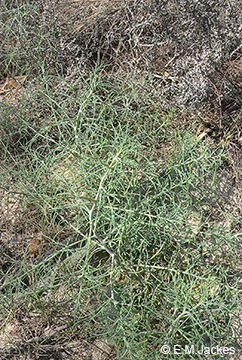 NB Salsola kali is now treated as a non-Australian species. 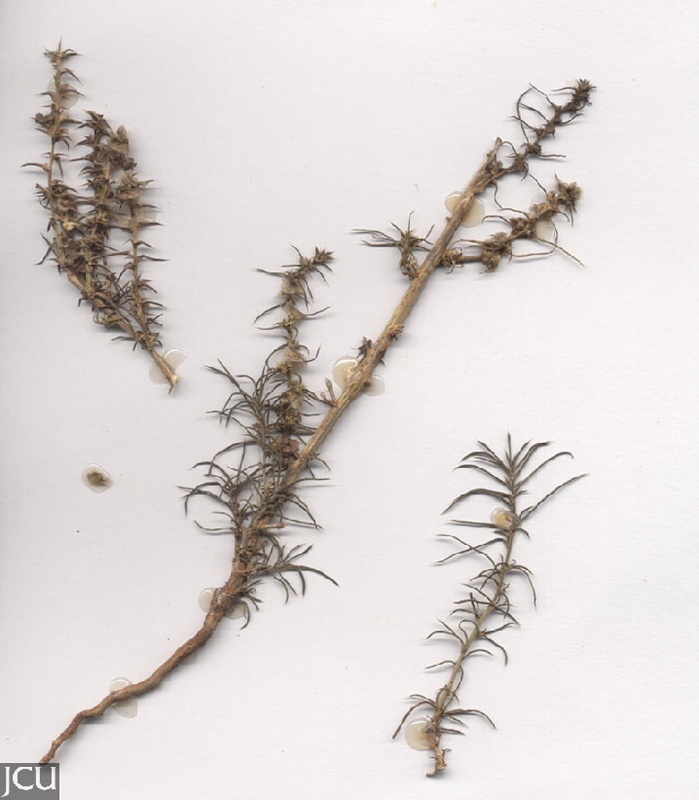 Leaves semi-cylindrical with a sharp point, length very variable. Fruits surrounded by membraneous horizontal wings. Colour of plant may vary from green to red. Old plants break off and roll along the ground shedding fruits as it goes.